What Are G.M Collin Facial Peels for Acne? G.M. 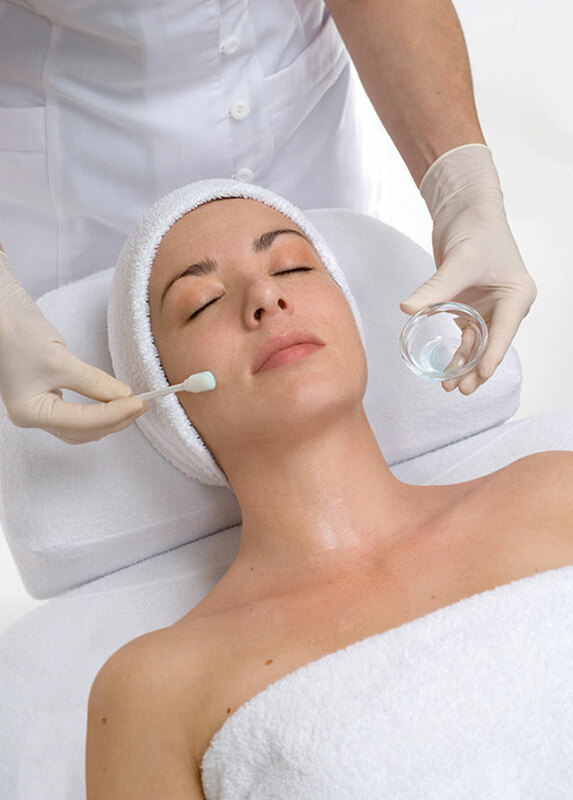 Collin Facial peels are designed to treat acne and provide progressive, long-lasting results. Using the most effective ingredients for treating acne available in the market today, G.M. Collin Facial Peels can bring a noticeable difference in most acne conditions within four to six treatments. With three different treatments including Glycolic Acid, Salicylic Acid, and Lactic Acid peels, they are able to treat severe acne conditions and deliver exceptional results. How Do G.M. Collin Facial Peels Work for Acne? The G.M. Collin Glycolic Acid peel is an intensive, restorative peel designed to deeply exfoliate your skin. The Glycolic Peel’s potent ingredients work to even out the upper layers of your skin and stimulate the generation of youthful collagen while preventing your skin from inflaming or becoming irritated. The G.M. Collin Salicylic Acid Peel is especially effective for acne-prone skin. Designed to exfoliate, unblock pores and eliminate the redness from problematic acne, the core ingredient is Salicylic Acid, a beta hydroxy acid that is oil soluble so it is able to penetrate into the pores of your skin; becoming acne’s worst enemy. The G.M. Collin Lactic Acid Peel is an antioxidant exfoliator that is formulated to even out and level your skin. The peel works by exfoliating the top layers of your skin, gently evening out the surface while stimulating collagen production. Q: How long does a G.M. Collin Facial Peel for Acne take? A: Most peels are performed within 30 minutes. Q: How will I feel following a G.M. Collin Facial Peel for Acne? A: Following each facial peel, you will feel some redness. Exposure to direct sunlight is not recommended. Q: How many G.M. Collin Facial Peels will I need to treat my acne? A: Most Midtown Med Spa patients come for a facial peel once every three weeks, and many come back for maintenance peels that are performed once a month. However, we have a series of recommended treatments that are designed to effectively help our patients with acne.